Didlington Hall, some eight miles from Swaffam in West Norfolk, was once the home of the Tyssen-Amhersts. Originally Flemish merchants, the Tyssens had amassed a large fortune and owned extensive estates in both Norfolk and Hackney, while the Amhersts came originally from Kent. The two families were joined together by the marriage in the late seventeenth century of Captain Nicholas Amherst and the heiress, Mary Tyssen. 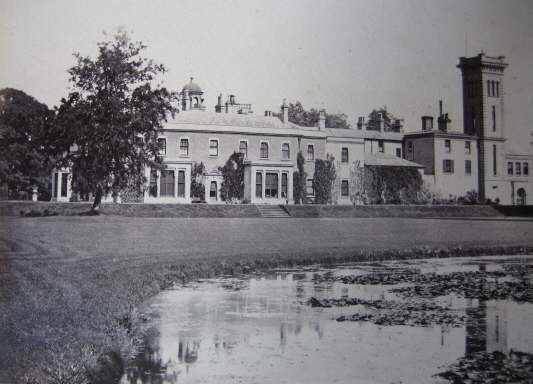 When it was purchased by William George Tyssen-Amherst in 1853, Didlington Hall was a large sunny Georgian house, built of red brick with white facings. There were many historic trees on the estate: the long avenues of limes had been planted in 1689, while some of the oaks in the park featured in the Domesday Book, as indeed did the old watermill. Acres of open parkland surrounded the house, which faced south. A terrace fronted by lawns swept down to the lake; a peaceful stretch of water dotted with islands, and surrounded by trees which grew right to the water's edge. In summer its surface was carpeted with swaying rafts of water lilies. However Didlington had much else to offer its purchaser; there were the walled gardens, a dairy farm, an ancient heronry, and even a racecourse. The front door faced north and just a short walk across the park opposite stood Didlington Church. It still stands today; a flint building dating from 1400. 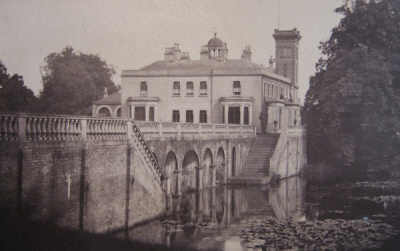 However, by the turn of the twentieth century, the Hall had expanded into a sprawling Italianate mansion, reputedly with eighty bedrooms. In the end its sheer size was its downfall; the house was demolished in the 1950s as no one had the money, staff or desire, to maintain it. In its heyday Didlington Hall was home to a remarkable family and was run with remarkable style. This web site will eventually tell the story of the Amhersts of Didlington Hall. (Copyright) Angela Reid 2008. All rights retained.